Last Sunday was a football-themed service, well this weekend is the second-leg. Like the beautiful game? Why not come and join us! It would be great to see you. The photo is of our pastor, Stewart Bloor, in his TNS shirt. They’re the champions of Wales and Stewart is involved with the club. Come and hear more! Previous WEEKLY NEWS – FOOTBALL AND CHURCH? 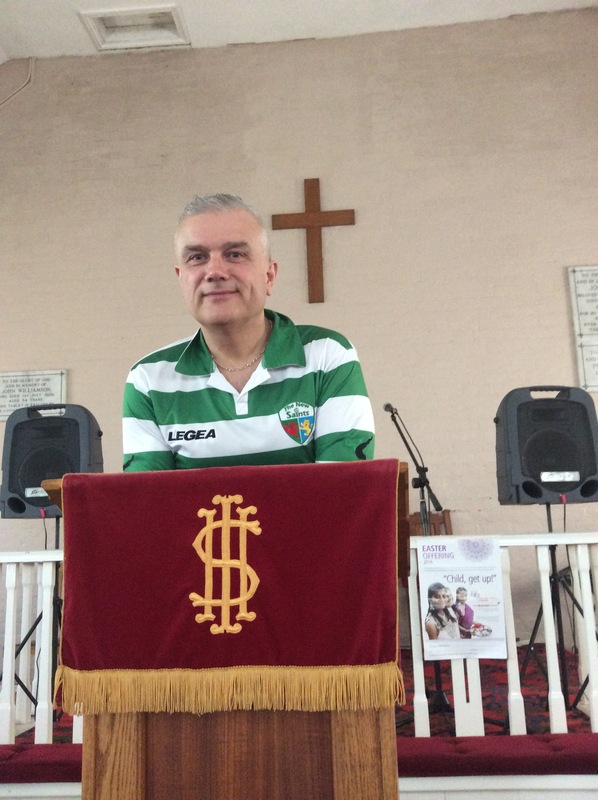 Next WEEKLY NEWS – FAITH AND FOOTBALL?